We’ve talked a lot here recently about how to beat homeschool burnout. Right at the end of school, I always feel a little burned out, but some years it is much worse than others. This year, I’m not feeling as burned out because I have identified the signs of impending burnout and worked to defeat them. 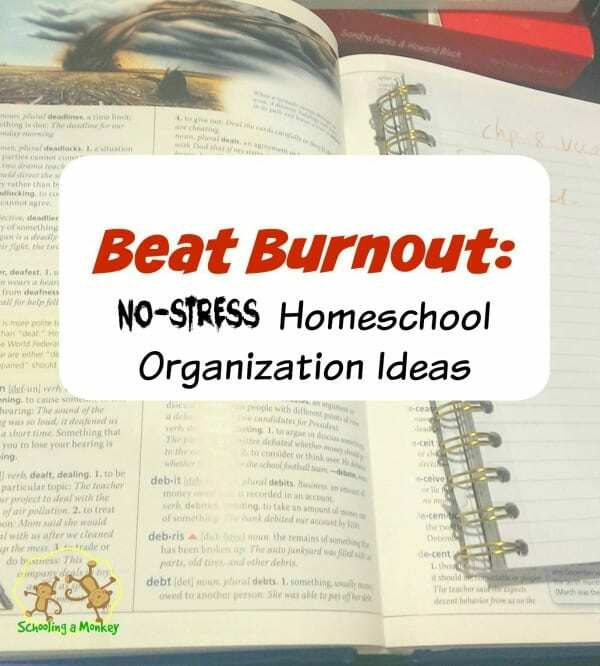 In addition to these tactics, I’ve also found that organization is a lifesaver and a huge help in preventing homeschool burnout. I’ve talked about this before, but a schedule can be an organization lifesaver. You can have a place for every single color of crayon in your house, but if you don’t have a schedule, you will always feel disorganized. 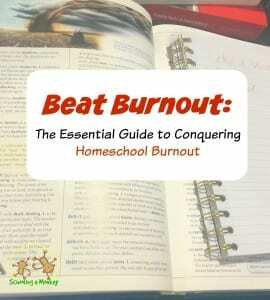 Check out the last beat homeschool burnout post for more tips on creating a homeschool routine! Planning is essential for organization. I don’t plan as rigidly as some homeschoolers, simply because in Texas you are freer to go with the flow. However, I do like to have a plan of what to accomplish during the year so that I know if we are falling behind. I also use a planner to keep track of when we need to do big projects, including the materials for a science project or some other big project. I’m not much of a paper planner, so I typically do most of my planning on things I can access from my phone. I like to teach the children at the kitchen table (it seems to be easier to keep them on track that way), so I just keep my phone handy at the table and use it as a reference guide or to take notes as we go along. I recently just started using Homeschool Planet, and I love how they make it easy to keep things organized (much better than the random notes I was using before). for several years, and this year we started a Charlotte Mason speller that I plan to keep using until we go through it all (which could take several years). It’s good to know where you want to stop if you want to get to a certain point in a multi-year book. We also follow a yearly outline for music. At the start of the year, I usually look over any necessary supplies for projects and I try to purchase at least what we need to get through the first semester before the first day of school. I usually skip straight from yearly to weekly goals in my homeschool planner. I divide the pages/lessons/goals for the year into weekly chunks. For the start of each week, I also make note of the supplies I will need for any projects that week. 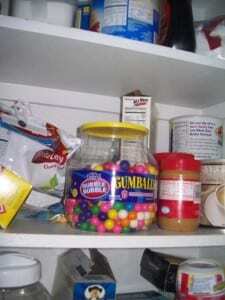 This helps us to keep the right supplies in stock so we always have what we need. Daily goals are extremely important for me because it gives me a checklist/to-do list for each day. 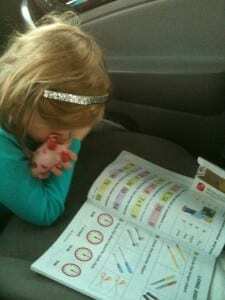 Without a daily list of homeschooling tasks, it is much harder for me to remember what we are supposed to be doing. I also use the daily goals as a way to keep up with where the children are in school. If I need to add in more practice in a certain subject (right now it’s just been math), I’ll make a note of that for the following day. I love having a structured plan for each day, but also the flexibility to move something from day to day in case something comes up. We are in a massive de-cluttering spree right now. For us, we have to de-clutter about once a year to keep our house from getting overrun with clutter and useless items. I don’t even know where most of the stuff comes from, but it just seems to show up and stick around in corners, bedrooms, and any open surfaces. 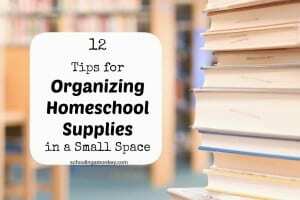 Clutter is such a killer for everything, but particularly homeschooling. 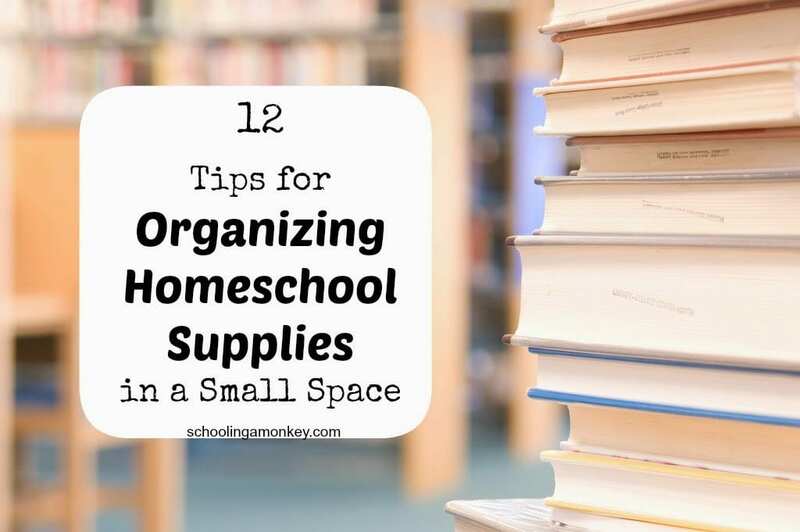 If a home isn’t organized and clutter-free, homeschooling is so much harder. Children spend 30 minutes each morning searching for a pencil. Mom has to clear away yesterday’s dishes and books before starting the new lesson (and this does happen at our house often, despite our constant fight against clutter). The baby drops toys into the toilet while school is going on because they were on the floor and in easy reach. A cluttered space is a chaotic space. As someone who doesn’t really like to clean, it’s taken me a long time to come to the realization that I function much better without clutter. I am better equipped to beat homeschool burnout when I have a clutter-free environment. So, how can you organize clutter? Clean dishes after ever meal, or at the very least, once a day. Find a place for every commonly used item that is easy to get to (I’ve tried stacking things behind things/on top of things, and it always ends in disaster. If you have too much stuff to reach everything easily, get rid of something). Keep school supplies in a dedicated space (We have cubbies for each child). Keep a hidden stash of pencils and pens that the children don’t know about. Make a chore chart for each child and one for you. Try to get the chores done daily. Don’t be afraid to get rid of things that frustrate you. You probably will never use those old computer parts again. Try to clean out one drawer/closet/stashing space at least once a month. Have a deep de-cluttering period once a year (spring break works great for us). Don’t get frustrated or angry if you don’t do one of the above things for a day or two (or any of them).